Our house is bursting at the seams – with books. I agree, this is a fabulous problem to have and a preferable item to be “bursting with”. I can certainly think of A LOT of other things I wouldn’t want taking over my house. But, if books could literally come alive, we’d all be eaten in the middle of the night by our collection. They have us outnumbered, by at least 802. Not only do each of my girls get a book from their grandma every month on the date of their birthday date, I also was (and I might argue still am) a literacy teacher, and you better believe I know just how important early literacy is for young kids. Plus, that adds at the very least another 500 books to the number of books we own. It’s an awesome problem to have, but none the less, still a problem. 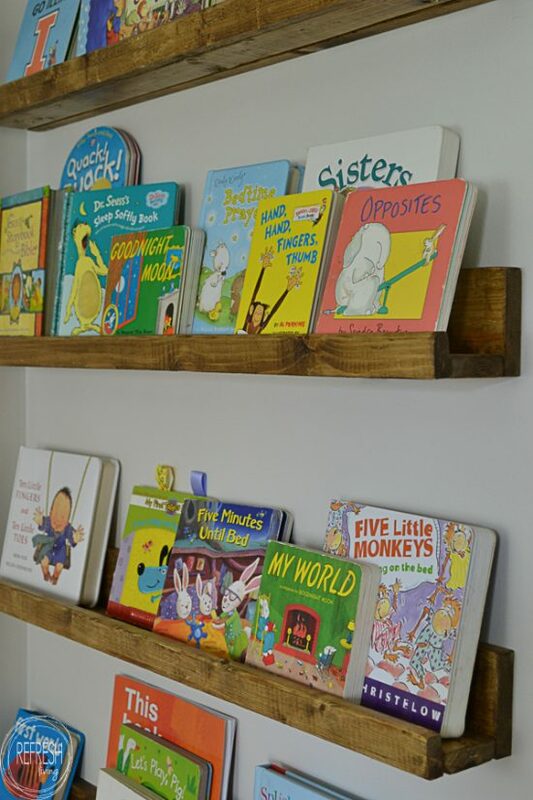 I’ve built a couple of kid-book storing solutions in our home, but our nursery was still in desperate need of a place for those books to rest peacefully when not being read. For a long while they just were piled into that basket. And then when we ran out of room in that basket, we just added another overflow basket. By the looks of this picture, you can see it was either time to get yet another basket, or to actually solve the problem that faced me every. single. time. I tried to open that closet door to the left. 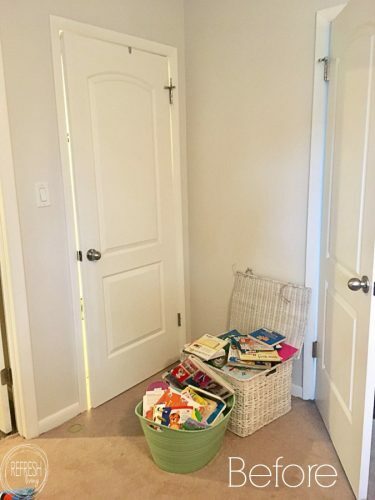 In order to make the use of this awkward space behind two doors, I decided to build some book ledges that would extend out only a few inches from the wall. 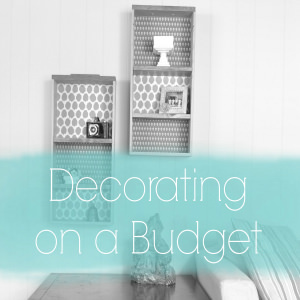 The best part of this project was certainly how inexpensive it was. 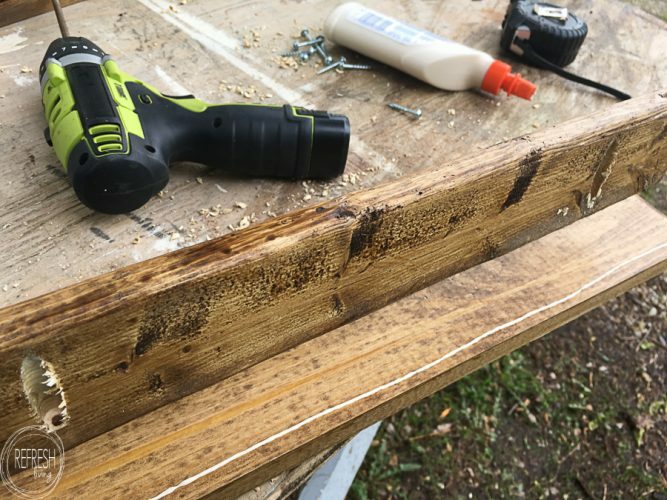 I spent $15 on wood, and then used some stain, screws, and nails I already had around the house. I certainly can’t complain about how difficult it was, either. Honestly, the most time consuming part was staining all the pieces of wood! 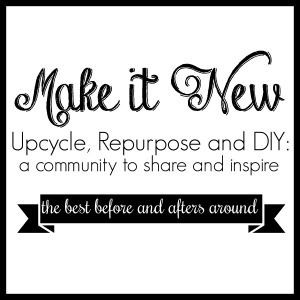 It’s definitely a great beginner DIY building project. I used 1 x 4s, 1 x 3s, and 1 x 2s for my ledges. I looked at a couple of different examples online, and I didn’t like the proportions on many that I saw. These wood sizes created the perfect sized shelves for what I was looking for. 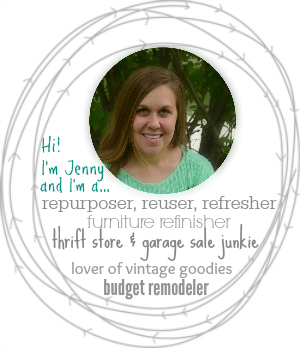 Here’s a little hardware store tip. 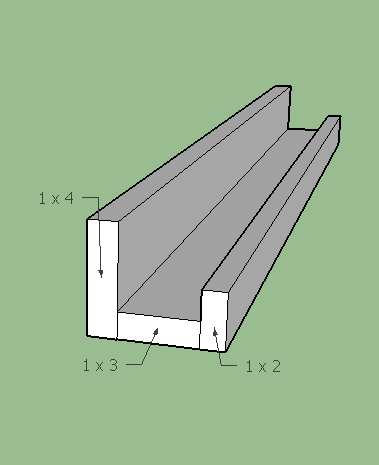 To save quite a bit more money, you can purchase furring strips instead of dimensional lumber for the 1 x 2s and 1 x 3s. 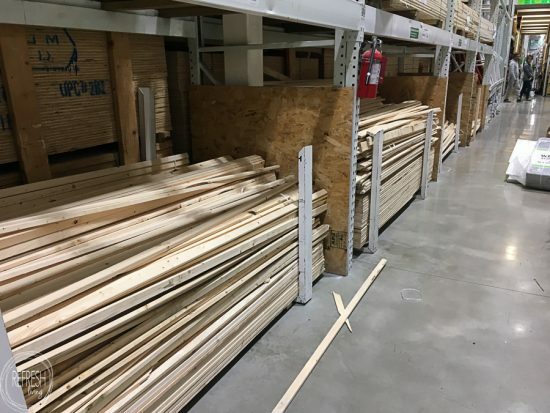 It usually takes a little digging in the piles to find straight pieces, but I always am able to find great pieces of wood for under $1. You will need to buy dimensional lumber for the back piece, though. 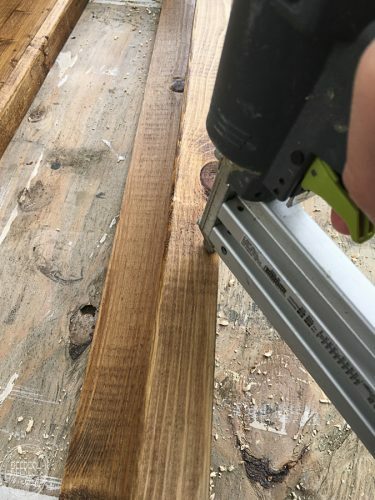 When purchasing this type of wood, the most inexpensive pieces (called standard boards) also have the most knots. I like to call this character, and usually buy those standard boards. Again, just dig through the pile to find straight pieces without massive knots or holes. 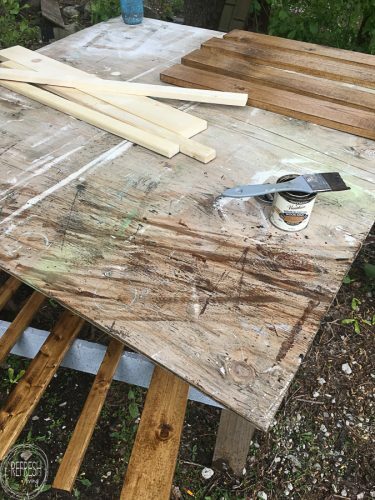 After cutting the pieces down, I used my new favorite shade of stain, golden oak, to stain all the boards. On the bottom piece (1 x 3 board), I used my Kreg Jig to make two pilot holes into the bottom. Then, I applied a little wood glue to the bottom, front side of the 1 x 4 and screwed the 1 x 3 into place. 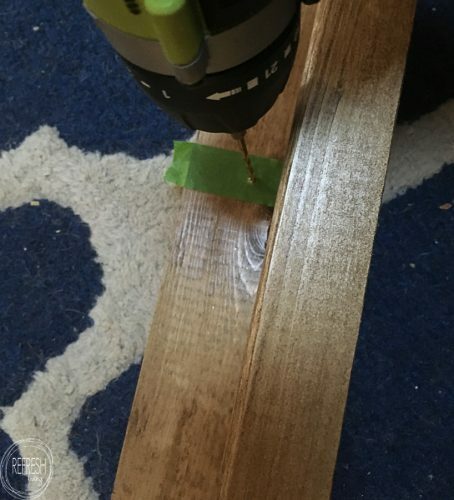 If you don’t have a Kreg Jig, I would simply drill a standard pilot hole from the back to the front of the 1 x 4, and then screw the 1 x 3 into place through those holes. 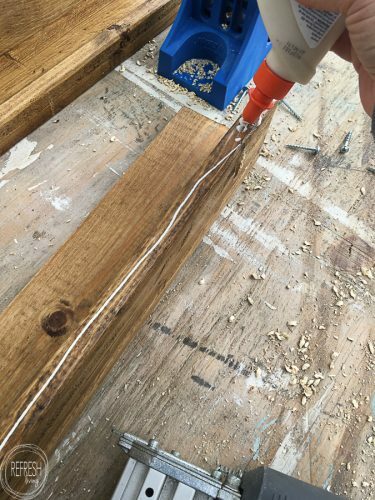 The screws will be hidden on the back of the 1 x 4, and thus on the back of the ledge. Only the wall will know they are there. and then that piece can simply be nailed into place. 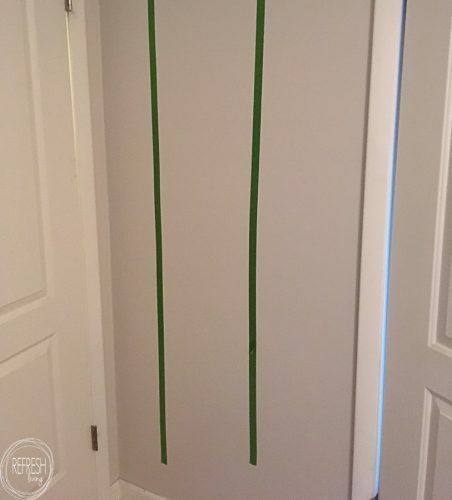 To install the ledges, I used a stud finder to find and mark the studs with painter’s tape. I just held up each shelf on the wall, and then placed a piece of painter’s tape on the shelf at the same place as where the painter’s tape was on the wall. Then, I drilled pilot holes into the back board of the ledges at the places marked with tape. 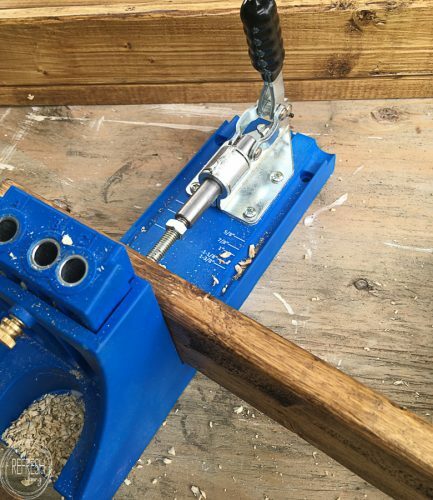 Drilling pilot holes ensures the wood doesn’t split when screwed into. I’m so pleased with how they turned out! They fit all of our little board books perfectly and take up virtually no room in a space that was practically unusable anyway. 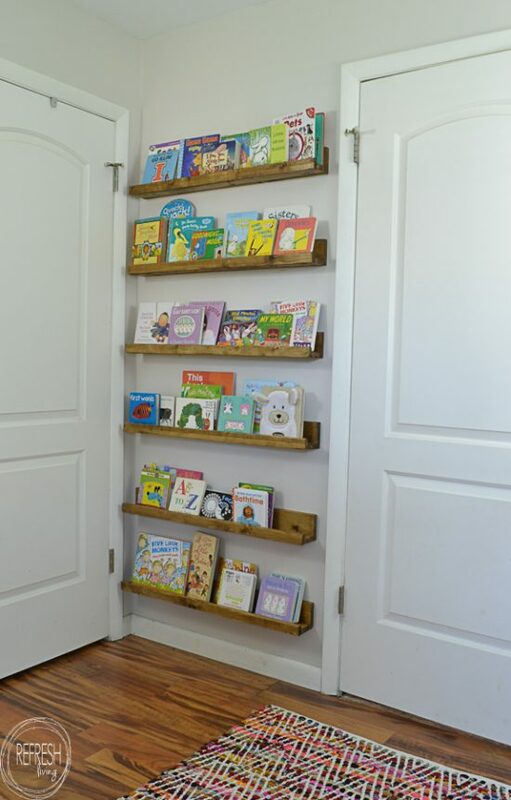 I think everyone should install book ledges behind their doors, don’t you? Super cute! I love ledges like these for books (and artwork). Thanks Melissa. 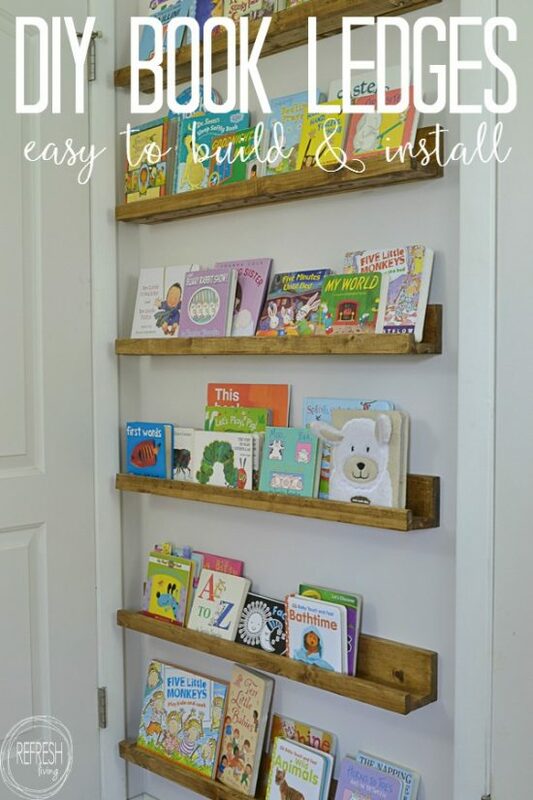 I love the idea of putting artwork on these types of shelves too! Your book ledges look great! 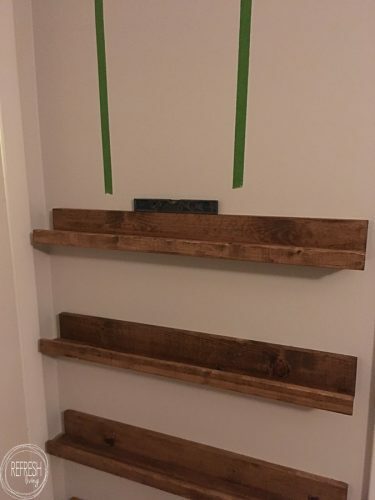 Thanks for posting this tutorial- I’ve been wanting to make some book ledges for some time but wasn’t sure how I wanted to do it. These look awesome!! Great job!! These look great and it’s making me think something like this would look perfect in our living room! Thank you for sharing this with us at Funtastic Friday! Thanks Angie! You’re right, I think they could definitely be used in a living room, with books or pictures.